We have already discussed 5 of 10 Top Colors for the Year 2017 announced by Pantone, a global color expert: Greenery, Pale Dogwood, Lapis Blue, Pink Yarrow and Kale. This range comprises the shades of blue, green, and red, while yellow is represented by just one hue – Primrose Yellow. And that’s exactly what we’d like to speak about today. Primrose Yellow is a shade of soft sunlight, spring, freshness and good spirits. It’s warm, not so bright, pretty neutral and blends perfectly well with both warm and cold color tints. 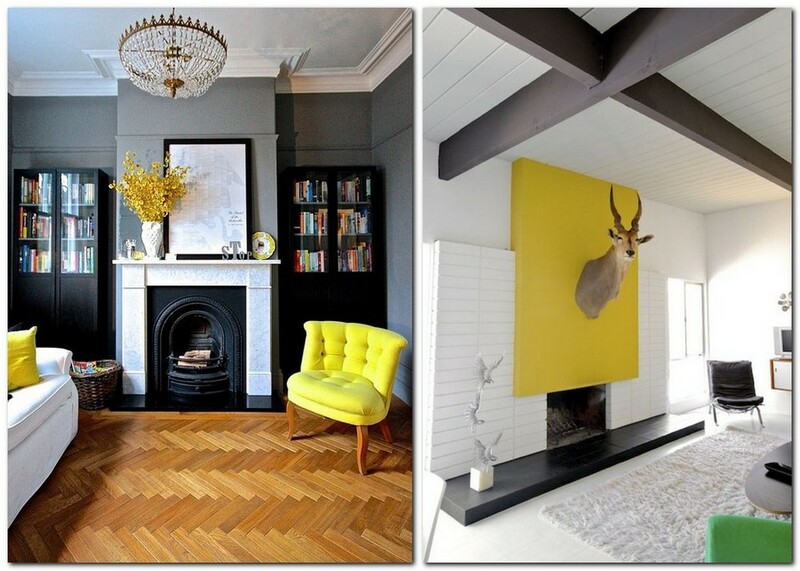 The best color “couples” for Primrose Yellow are all bluish and grayish shades, for example, sky-blue Island Paradise. 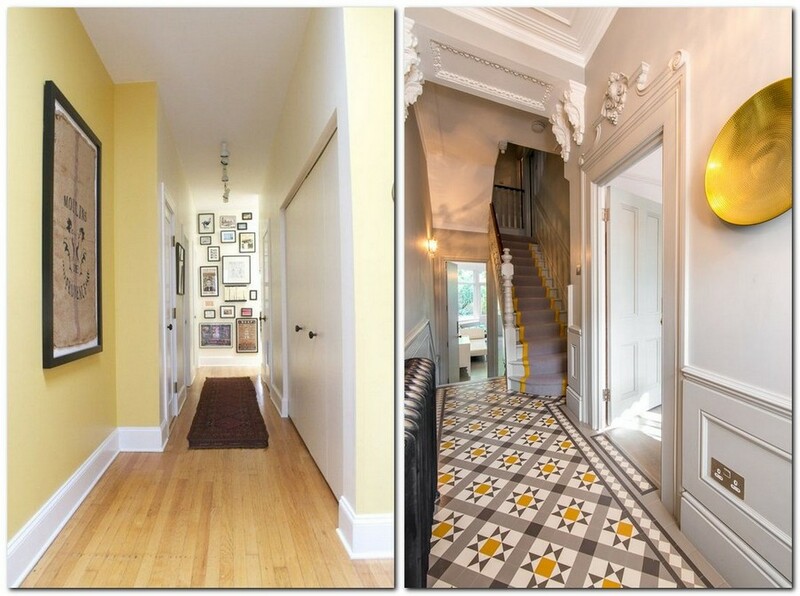 In these combinations either of the color can be dominating or accenting. Just make sure that they are diluted with a third neutral hue – white, beige or gray – to keep the interior from being too active. 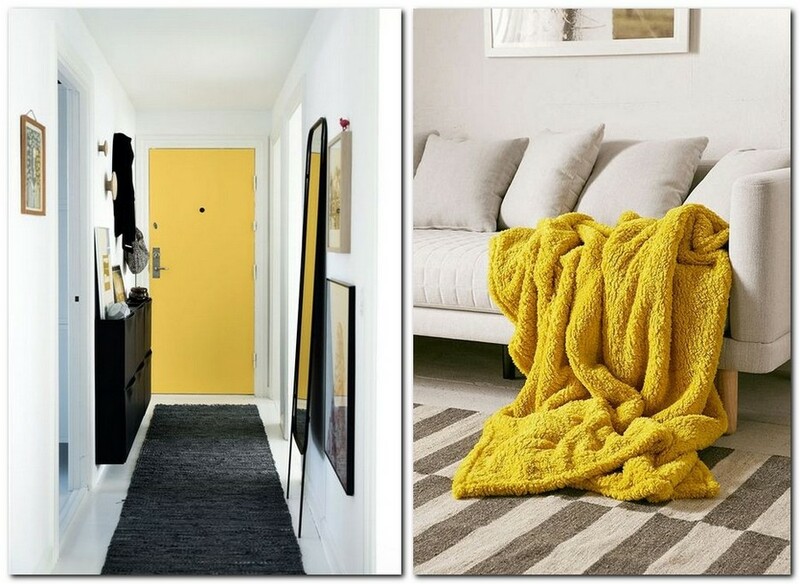 It goes without saying that Yellow Primrose catches the utmost attention of people; hence it’s worth applying it in those areas that you’d like to emphasize especially: home textile, recesses with wall art, or doors. 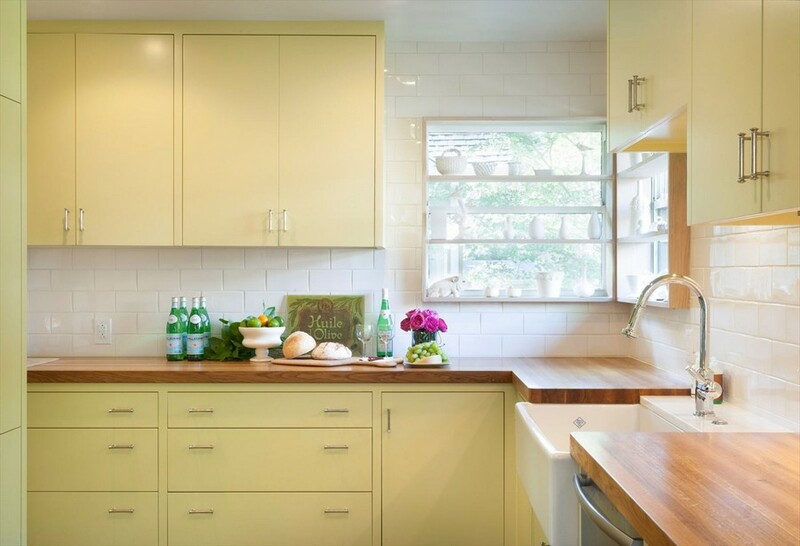 Until fairly recently, Primrose Yellow was one of the most popular choices for kitchen cabinets: it’s well known that all yellow shades are good at stimulating the appetite. 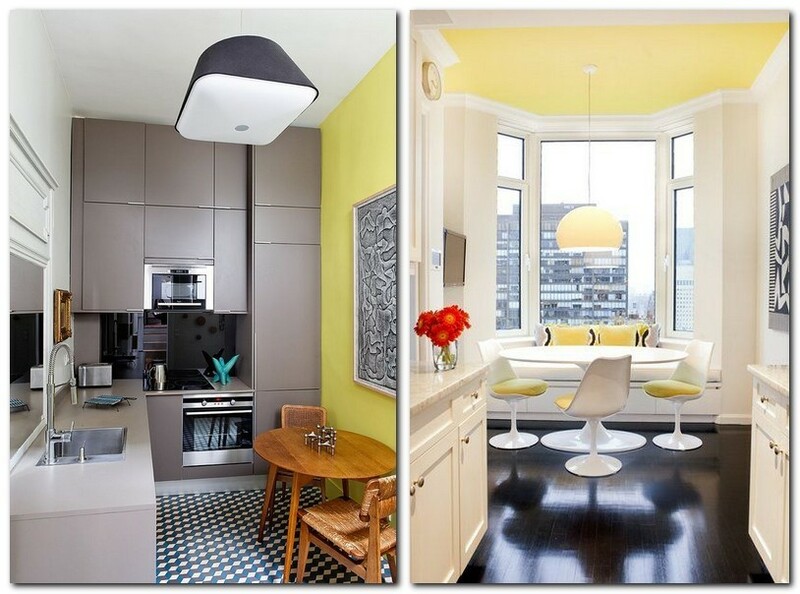 If you are also determined to see yellow in your kitchen interior, the key point is to follow the classical rule of color schemes: a tasteful color palette of a room must consist of two or three shades. For instance, if you had your heart set upon totally yellow kitchen cabinets, the walls and the rest of the furnishing should be as neutral and quiet as possible. Textured wood finishes or monochrome natural stone would ideally complement such an interior. One more option is to use Primrose Yellow locally: in backsplash, lamps or on one contrasting wall. Yellow Primrose hue is ideal for entry rooms, bathrooms and any small windowless rooms. The thing is that such a shiny color is able to make up for a lack of natural light. Here you can feel free to use your imagination to the fullest and experiment with furniture, décor and walls. 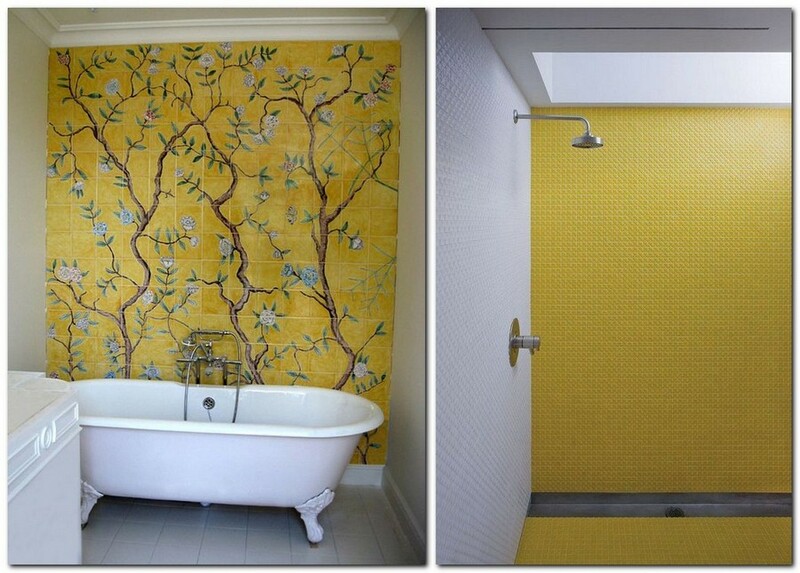 A bold option for bathroom interiors is the mixture of yellow and contrasting dark gray or black. A more universal and quiet couple is Yellow Primrose tiles with plain white ones. And when it comes to big residential rooms, such as bedrooms and living rooms, Yellow Primrose should be used quite moderately. Having too much of it, you won’t be able to relax and may feel even more tired. In these spaces Primrose Yellow looks nice in home textile elements, pieces of décor or small interior items, like ottomans, arm-chairs, flower vases and lamps. Any monochrome interior can be diluted with such a warm and fresh hue. 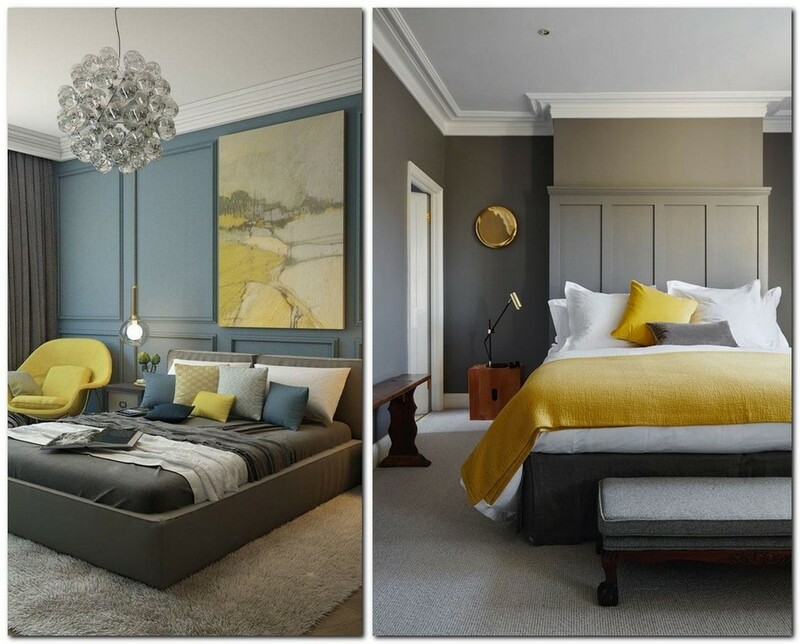 In quiet interiors a bedspread or a decorative pillow in Yellow primrose would definitely catch the eye – here just a single bright element is enough to change the image of the room completely.